on Tuesday, November 20, 2018. She passed comfortably in her home surrounded by her beloved husband, children and grandchildren by her side after bravely battling multiple myeloma for the past four and a half years. Julie was born March 15, 1957 in Fresno County. 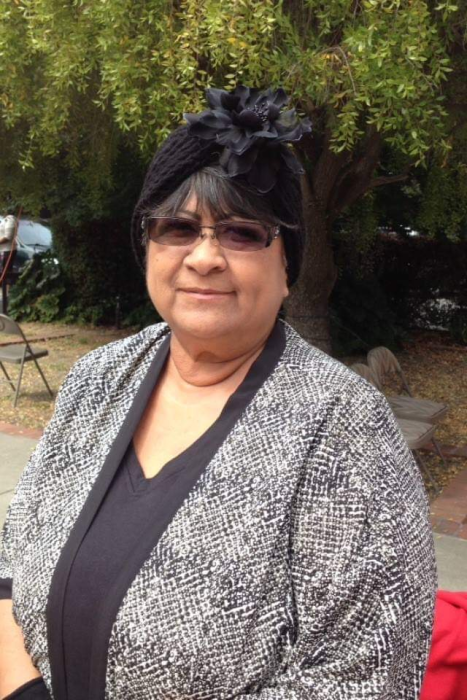 During High School her family relocated to Watsonville where she graduated from Watsonville High School in 1975. Julie better known as “Mama Julie” was not only a phenomenal mother to her own children, but welcomed and raised many with open arms. Julie’s favorite hobbies included crocheting, knitting, sewing and arts and crafts with her kids. She coached little league baseball where she lead her teams to victory, winning many championships. Julie also coached girls softball/travel ball and was known as #1 Trembler Fan. You could always find Mama Julie at sporting events cheering on her loved ones. She spent a lot of time cooking for her family and baking her famous apple pies. In the last decade Julie devoted time to her relay for life team “The Pink Angels”. Julie loved a lot of things but most of all her 49ERS! Julie is survived by her husband Peter Hernandez, they were affectionally known as "Pistol Pete and Shotgun Julie”. They have been together for forty one years. They had three children, Little Man, Nichoel Valdez (Rudy Valdez) and Stephanie Tonche (Sergio Tonche). Five Grandchildren Myranda Valdez, Myrissa Valdez, Rudy Valdez, Julianna Hernandez Tonche and Ava Tonche. A Celebration of life will be held on Saturday December 8, 2018, beginning at 10 AM at Green Valley Christian Center in Watsonville (Reception to follow). Ave Maria was entrusted with the arrangements. The Family is asking in lieu of flowers that donations be made to Bay Federal Credit Union Account #33703027. Thank You.